Most working people can’t imagine a scenario in which they end up in line for food assistance. However, recent events, both locally and nationally, have left many working families and individuals temporarily at risk for food insecurity and malnutrition. Matt, 35, is an Air Traffic Controller in Santa Clarita. He’s been working in his current job for more than eight years, so this is not the first time he’s weathered a partial government shutdown. However, he says this time is different. “The length definitely differentiates this shutdown from the previous shutdowns,” he said. First thing every morning, Matt logs on to his computer or phone to check the status of the shutdown. His spending behavior has had to change drastically and while he has some emergency savings, it’s not enough if the shutdown continues. His main concern is paying his mortgage. He’s never had to visit a food pantry in the past, but Matt is familiar with some agencies in his community from when he used to volunteer. Lately, he’s been researching his options, hoping that some food assistance can provide a cushion to allow him to pay other bills. Aside from managing his very restricted budget, Matt is facing more unexpected obstacles. “Oddly enough, it’s very depressing,” he says. 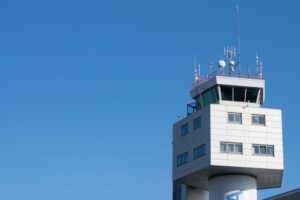 “To work for no pay is very, very demoralizing.” As an Air Traffic Controller, Matt is required to continue to go to work, making it very difficult if not impossible to supplement his income with odd jobs or other work. Matt wants people to know he is grateful for all those who are donating and volunteering to provide relief during this time. Please consider supporting the Food Bank during this time.